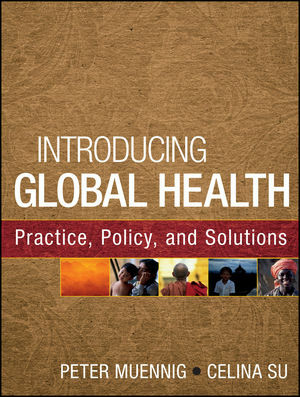 Introducing Global Health: Practice, Policy, and Solutions is a contemporary overview of the major issues in global public health. The book explores how population health might be maximized with the right blend of health system, education, antipoverty, infectious disease, urban development, governance, and incentive-based policies. It covers topics critical for understanding the state of the world today, including wars for natural resources, the missing women phenomenon, and whether global aid really works. The book's case studies focus on developing economies, mixed economies, and new emerging superpowers. Thematic chapters are interwoven with running motifs, such as the health risks and benefits associated with different totalitarian, capitalist, and market socialist economies. Moving beyond statistics, the book represents a major innovation in the teaching of global health by presenting technical concepts including the incidence and prevalence of disease within the context of more accessible topics such as global poverty. This helps students contextualize otherwise challenging but critical concepts, such as the burden of infectious disease. By encouraging reflection, focusing on what works, and using activities and exercises, Introducing Global Health both teaches fundamentals of global public health and cultivates a policy perspective that is appealing and compelling for today's students. Peter Muennig, MD, MPH, is associate professor of health policy and management at the Mailman School of Public Health at Columbia University, New York. He cofounded the Burmese Refugee Pro- ject, has consulted for various governments, and has won a national teaching award in public health. Celina Su, PhD, is associate professor of political science at the City University of New York. She has written two books on education policy and politics, cofounded the Burmese Refugee Project, and she is a steering committee member of New York City's participatory budgeting. Her honors include the Berlin Prize.